We all love a room with a stunning decor; maybe a couple of wow factors and clever ideas - but at the end of the day, if it's not comfortable, your hard interior design work is redundant. The combination of curves and cushioning are essential to soften hard-lined, (traditional or minimalist) interiors and create a welcoming and tactile environment. Painting the walls in Palladian shades isn't going to soften the overall look or more importantly the actual feel in the room itself. You can pop in fluffy rugs and a throw on that rock hard seating, but without a curved-edged, beautifully upholstered chair then you're going to live like a wax work, perched in your own home! Some of the chairs here were designed 60 years ago, yet the craftsmanship involved to create a beautiful, elegant and design-forward piece that doesn't in any way compromise on comfort has more than stood the test of time. We have the Jacobsen style Swan chair pictured above in a variety of fabrics online at: http://www.cadesign.ie/furniture/lounge-chairs/jacobsen-style-swan-chair-leather/ or visit us at CA Design, 23 Dunville avenue, Ranelagh, Dublin 6 or call 01 5143540. Pick a special chair that compliments the room's proportions. 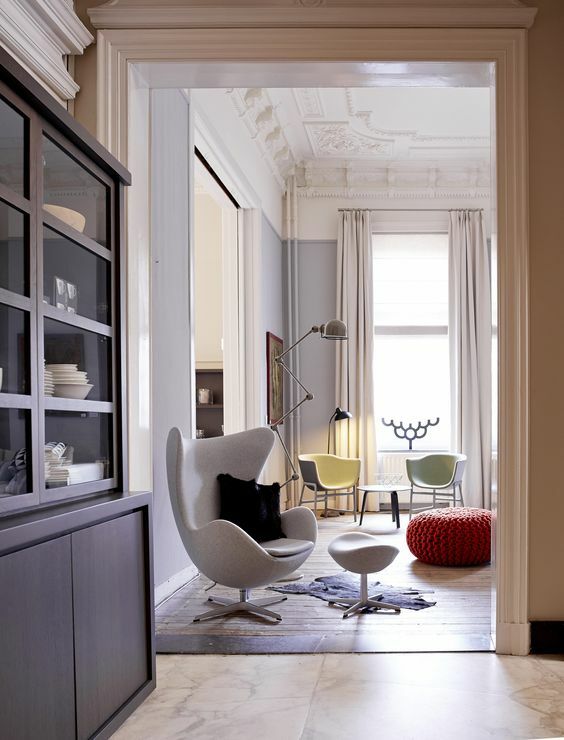 In this case our curvaceous Jacobsen style Egg chair's sweeping high back works beautifully with the high ceilings and stands out as a fully supportive and comfortable seat to relax in, in style. 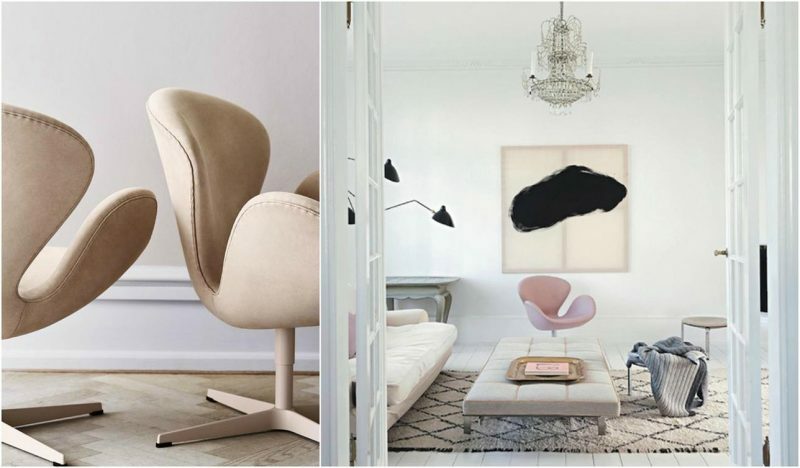 Our Hans Wegner inspired Shell Chair is a masterpiece in timeless and understated design. It works well on its own, to admire its elegance yet it is not a museum piece and is effortlessly comfortable. Fully upholstered with arm and leg rests, the Saarinen style Womb chair and ottoman is one of the most comfortable lounge chairs ever made. It exhibits a welcoming appeal and works beautifully as a chair in which to really lounge.